HDFC Bank is one of the most popular private banks in India boasting a large customer base. 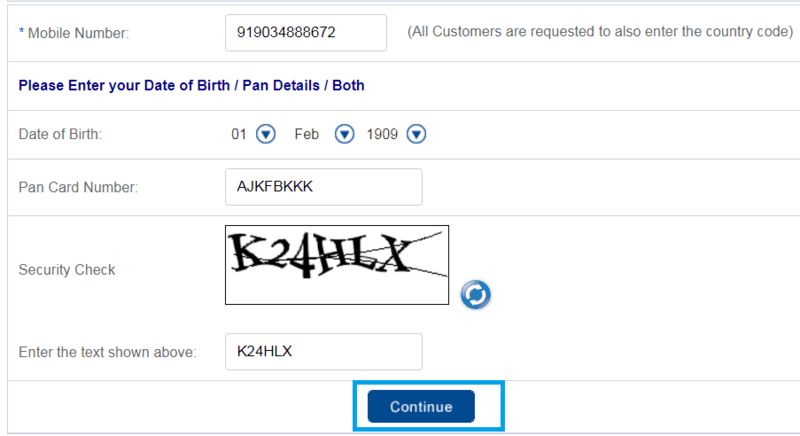 In this article I will tell you how to find HDFC customer id number. Let me start by telling you what a Customer ID. is This is a unique number provided by the bank for their customers. This number is similar to your HDFC Bank account number. The customer ID is mostly used in Internet banking. Given the fact that our country is fast getting digitalized, it is important for all to know how to find HDFC customer id. You will need this information to login to your Internet banking to complete the transactions. If you don't remember your Customer ID in HDFC Bank I, there's nothing to worry or feel embarrassed about because you are not alone. You can find the Customer ID easily using various methods. I have listed below some of the methods you can use in order to access your HDFC online banking services. 2. Next, go to the NetBanking section of the website. 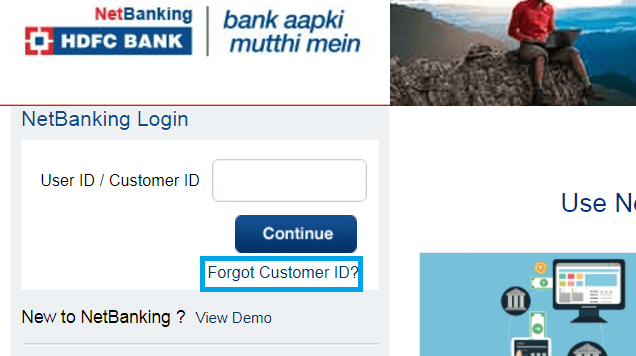 Now, click on the 'Forgot Customer ID' link that you can see located below the 'Continue' button. 3. You can now enter the mobile number that you have registered with the bank under the 'Mobile Number' Section. 4. To verify that it's you, please enter the Date of Birth exactly as mentioned in the bank. 5. Next, you will be asked to enter your PAN Card number. 7. This will send a One-time password (OTP) on the mobile number that you have registered with the bank. 8. You need to enter that One-time password on the website to complete the authentication process. 9. 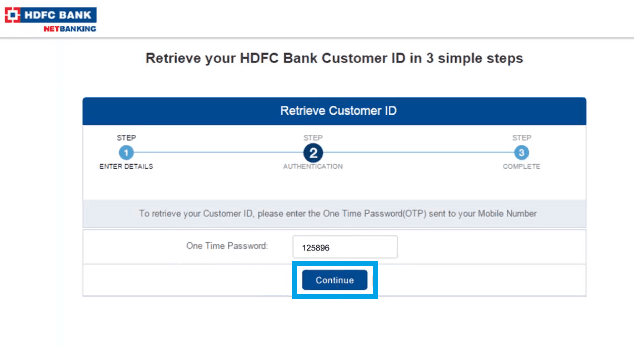 Once you complete these steps, the HDFC Customer ID will display on your computer screen. For this you need to first download the bank account statement of your HDFC Bank, for any specific time period. You will find the Customer ID printed right there in the account statement. Alternatively, you can visit your HDFC branch and ask them to find the Customer ID for you. Give them the details about your account and they will help you. 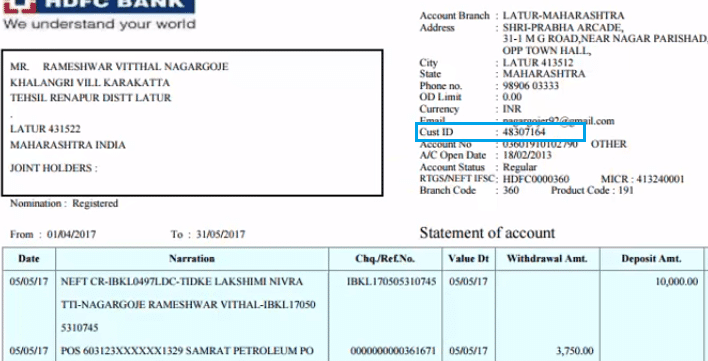 How to get customer id of HDFC bank without an account as I am using HDFC bank Credit Card but I don't have an account in HDFC bank? HI MY NAME IS SAGAR VOHRA MY DOB IS 08/07/1994 ACTUALLY MY REGISTERED MOBILE NO IS DEACTIVATED AND I DONT HAVE CUSTOMER ID ON CHECK BOOK SO HOW TO GET IT AND USE PHONE BANKING. my name is Trupti Shah and DOB 11.06.1973. I Have very old account, kindly provide my Customer ID .